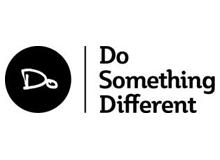 Do Something Different is an online behavior change program. Do Something Different practices democracy in the workplace because we are all motivated by the same purpose. A purpose that seeks to make the world a better place by helping people do something different. Because our interests are aligned, because we all understand the benefits of and are motivated to help people do something different, our people pull in the same direction. We all stand to gain equally from success and as a result it's essential that everyone has an equal say. Essential because we value difference. The benefits of difference run through the core of our people and our business and are based on the simple notion that if you want to get different results, you have to do something different. And if there's one thing we do know, it's that everyone has the ability to do something different.